What is “Unlimited Roaming VOICE PLAN”? This roaming plan offers Mobitel Postpaid customers to get unlimited outgoing calls and SMS while they roam. What are the package details? *Any other network includes- any non Mobitel Number, i.e. Dialog, Etisalat, Hutch, Airtel, SLT & etc. When can I activate this service? How can I activate this service? 10 USD per day with taxes will be charged for the listed destinations. How will the billing cycle work for this plan? Billing cycle will be reset from 12.00.00 am to 11.59.59 pm (24hrs) Sri Jayewardenepura Sri Lankan time. Note: The country list is dynamic, hence please call our roaming hotline 0714555555 for more details. How can I de-activate the plan? What are the other plans/packages I can use with this plan? You can use One rate roaming, Normal roaming and Data plans along with this package. 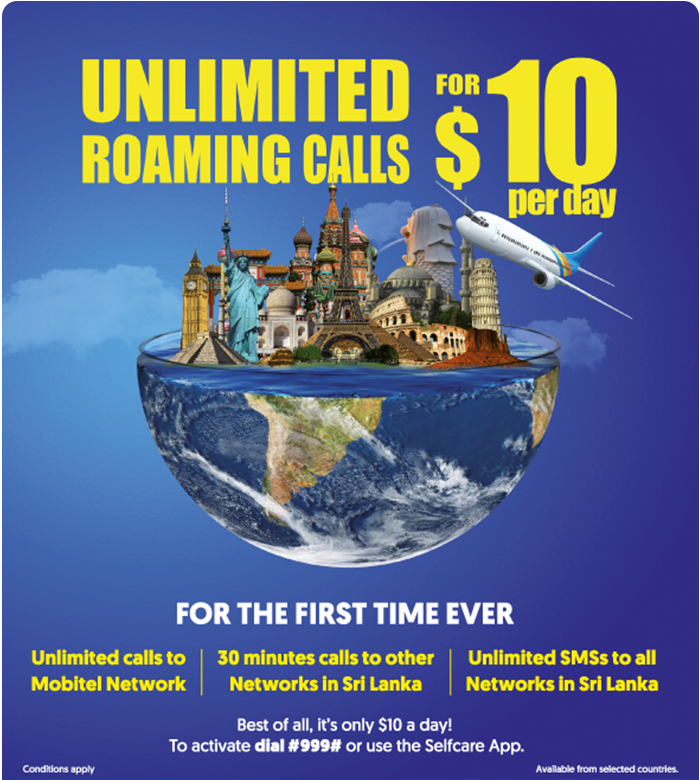 I have activated Deposit free roaming; can I activate Unlimited Voice Roaming Plan?